His VC medal is displayed at the Army Medical Services Museum. On August, 1 2001 the South African Post Office issued a stamp featuring Crean as part of their commemorations for the Second Boer War. 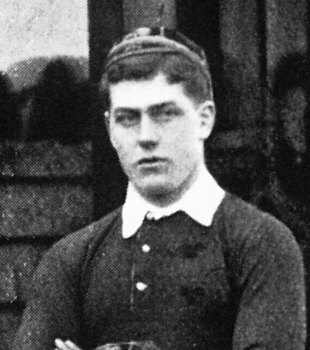 Thomas Creen, who played nine times for Ireland and four Tests for the Lions, is one of only four rugby internationals to win the Victoria Cross. He played his club rugby for Leinster and was a member of the first Irish side to win the Four Nations Championship (and so the Triple Crown) in 1894, and was in the team when it won the Championship again two years later. He toured South Africa with the Lions in 1896 and captained in two of the four Tests in the absence of Johnny Hammond. A doctor by profession, he decided to remain in South Africa at the end of the tour to work in a hospital in Johannesburg. He enlisted at the start of the Boer War in 1899 and won his VC for gallantry while serving there. The citation read: "During the action with De Wet at Tygerskloof on the 18th December 1901, this officer continued to attend to the wounded in the firing line under a heavy fire at only 150 yards range, after he himself had been wounded, and only desisted when he was hit a second time, and as it was first thought, mortally wounded." He returned to London where he practised in Harley Street, rejoining the army at the start of World War One during which he was mentioned in dispatches several times. But his health failed, as did his finances, and he died from complications resulting from diabetes aged 49.